Aggie Finish Line Degree Completion Scholarship Matching Challenge Contributions of any amount on #GivingTuesday to the Aggie Finish Line Degree Completion Scholarship will be matched by '81 NMSU alumnus Rance Miles and other generous Aggie donors. If you’re an Aggie, you might already know Caleb Gustin as NMSU’s beloved mascot, Pistol Pete. But Caleb has another story as an Aggie. Caleb has two passions: FFA and engineering. When deciding on a degree path, he enrolled in the College of Agriculture, Consumer and Environmental Sciences to study agricultural business and economics. 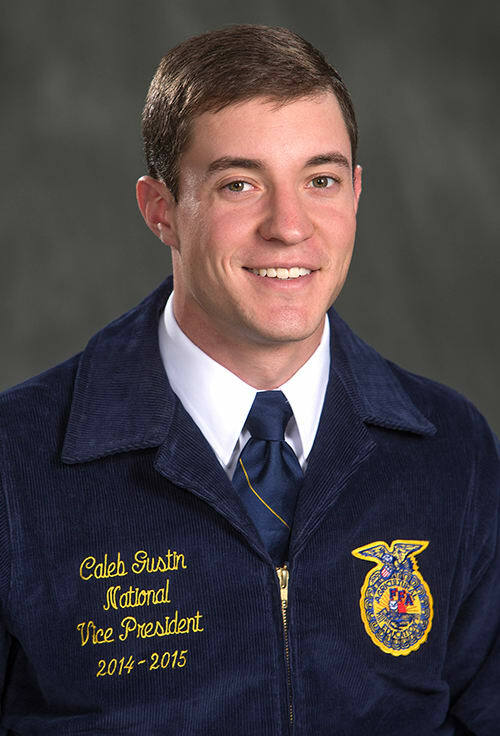 Naturally, Caleb became heavily involved in FFA, and even serves as current Western Region vice president. In the back of his mind, Caleb still loved the idea of being an engineer. He decided to switch his educational path and join the College of Engineering while still staying active in the national FFA program. However, this made graduating in four years impossible. Caleb worked two jobs. One was representing NMSU as Pistol Pete at home and on the road. Between games, he’d study long hours as the bus rattled on to the next location. Caleb received the New Mexico Legislative Lottery Scholarship, but it only lasted for seven semesters . He would need to tighten his belt even more to get across the finish line. Scholarships like the new Aggie Finish Line Degree Completion Scholarship support students like Caleb who need more than the traditional four years to finish their bachelor’s degree. Perhaps you were one of those students – someone who took 5, 6 or even more years before you held your degree in your hands. 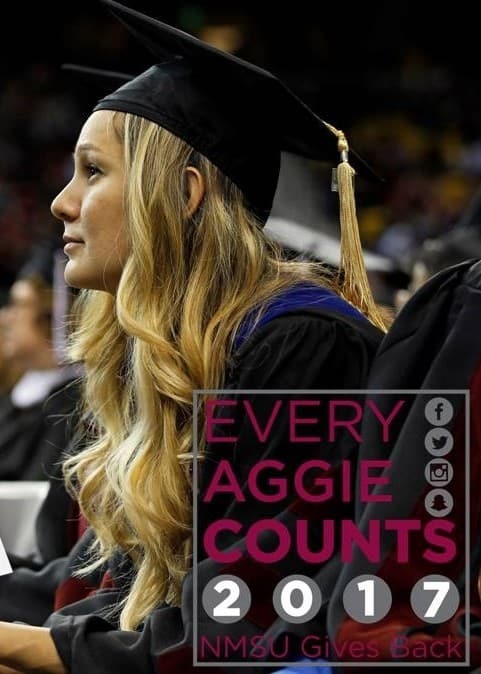 And because every Aggie counts when it comes to graduating, Every Aggie Counts in making those dreams come true. 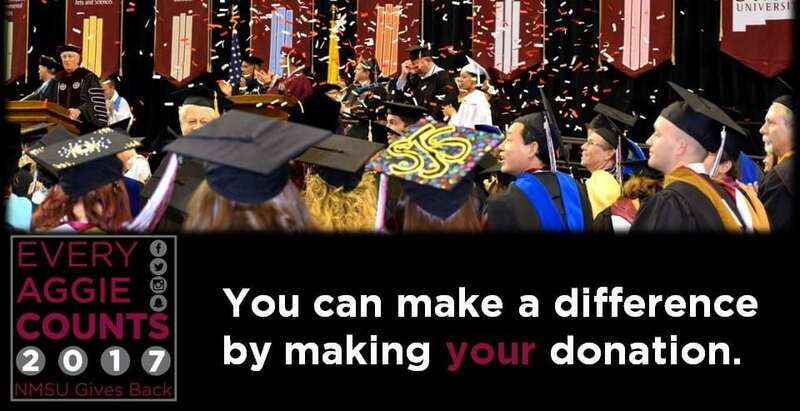 You can make a difference as an alumnus for generations coming up behind you. Contributions of any amount on #GivingTuesday to the Aggie Finish Line Degree Completion Scholarship will be matched by '81 NMSU alumnus Rance Miles and other generous Aggie donors. Every Aggie Counts, so please make your contribution today!